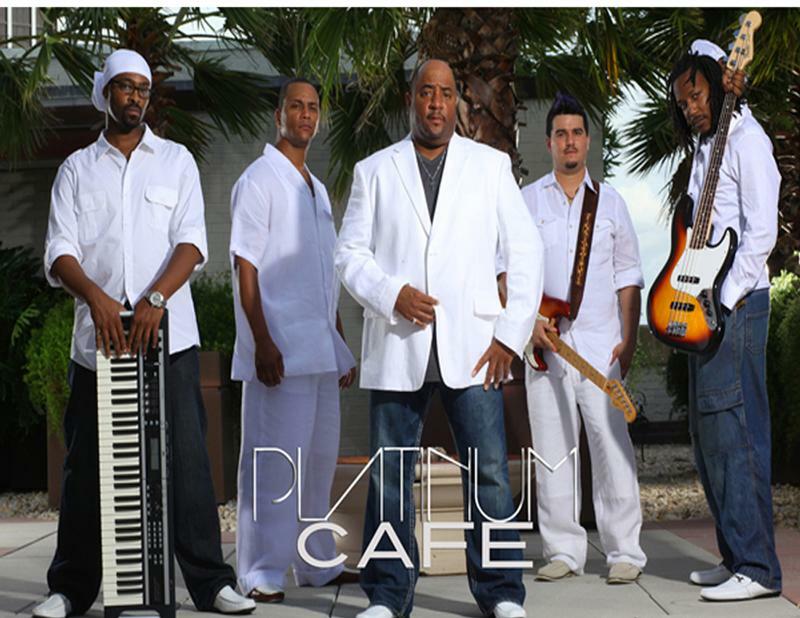 PLATINUM CAFE, a five piece nationally touring show band, now based out of Gulfport, Mississippi has been satisfying musical taste buds and captivating crowds with their electrifying performances for the past twenty years. Their musical menu consists of a variety of flavors. For starters, there's a wide selection of mouth-watering tunes from the 60's through the early 70's. And for your entree, prepare to be filled with the sizzling sounds from the 70's through the 80's. For dessert, you can enjoy the fun and ever so tasteful tunes of the 90's through the new millennium. So whatever your personal taste in music may be, you will find it on the menu at the Cafe'. PLATINUM CAFE'S guest varies just as much as the music they serve. Corp. parties, casinos, dance clubs, and colleges are just a small list of guest who has dined at the Cafe'. Oh, did I mention, we deliver. Customers from as far north as the Upper Peninsula of Michigan to the southern tip of Florida and all in between have specially ordered their uniquely seasoned music. With over 50 years of combined musical experience, PLATINUM CAFE truly serves it up HOT with real ingredients & NO artificial favoring (sequencing)! So don't miss your chance to experience the great taste of music at the Cafe. 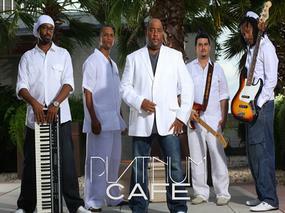 PLATINUM CAFE, Chef: Mitch Stubbs - lead vocal and show controller. Servers: Kelvin "MilkShake" McMorris - serves it up hot on Keyboards, Lead and Background Vocals; Thomas "RazzMo" Leos - Lead Guitar; Kevin "Shi" Smith - Bass Guitar, Lead and Background Vocals and Brandon "B-Rock" Buchanan - on Drums and Background Vocals completes the fine staff of Platinum Cafe.